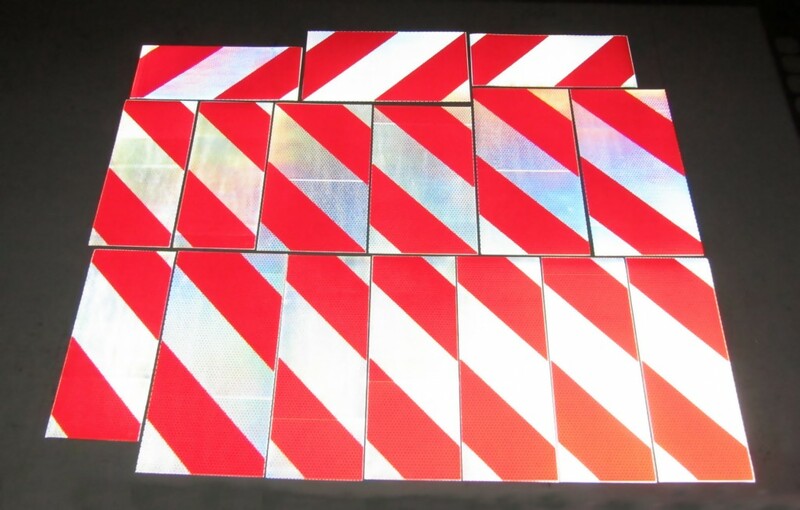 The panels pictured below are designed to be used in a crane operation so that the operator can look down and see the ends and edges of the load they are moving. The sizes are 6″ x 16″ and 6″ x 12″ as well as 8″ x 12″ and 8″ x 16″. The picture above is taken with a flash camera. The picture below is a standard picture. 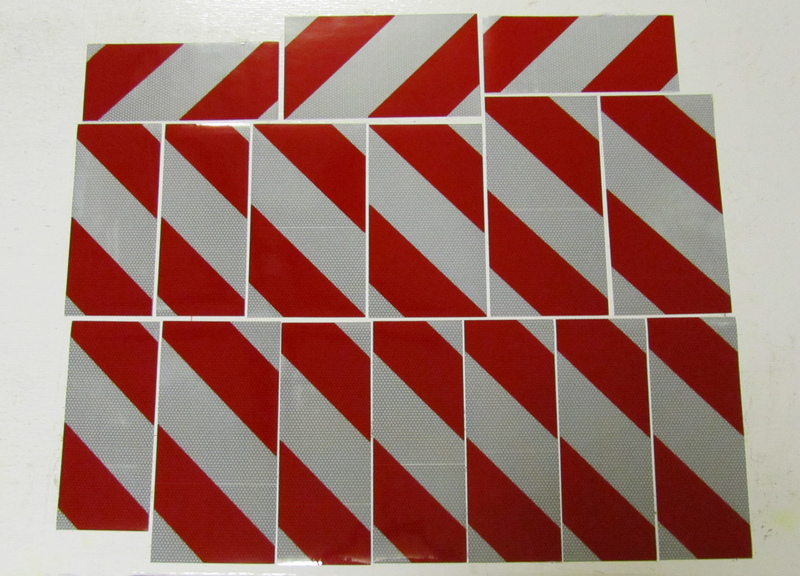 These particular panels are made using V98 white material and a red overlay. They are small panels but because of the brightness of this material they will work perfect or this application. Reflexite V98 material can be seen for thousands of feet versus hundreds for standard reflective. We have panels like this at www.chevronpanels.com . Or you can call us at 850-934-3157.